This edition takes the Amazon bestseller we all know and love and presents it in a way that encourages listening, comprehension, and action. Let’s not forget the options you will be given to pick exactly what will help your family learn and grow. For younger readers there will be a Large Print edition, inside you will find a picture on every other page with large, easy to read print. Larger, or less frequently used words, will be bold. Its never to early to expand your vocabulary! To go with the Large Print edition, there will be a companion workbook. This will hold the dictionary, maps, questions, and answers. For older, more experienced readers, the Homeschool Edition all-in-one provides a picture to start each chapter, smaller print, and, of course the full color maps, vocabulary, questions for all ages and an answer guide. 1. Prayer sticky notes to encourage children to pick something to pray about everyday. 3. A personal journal for your children to record their own stories, thoughts, and comments. 5. 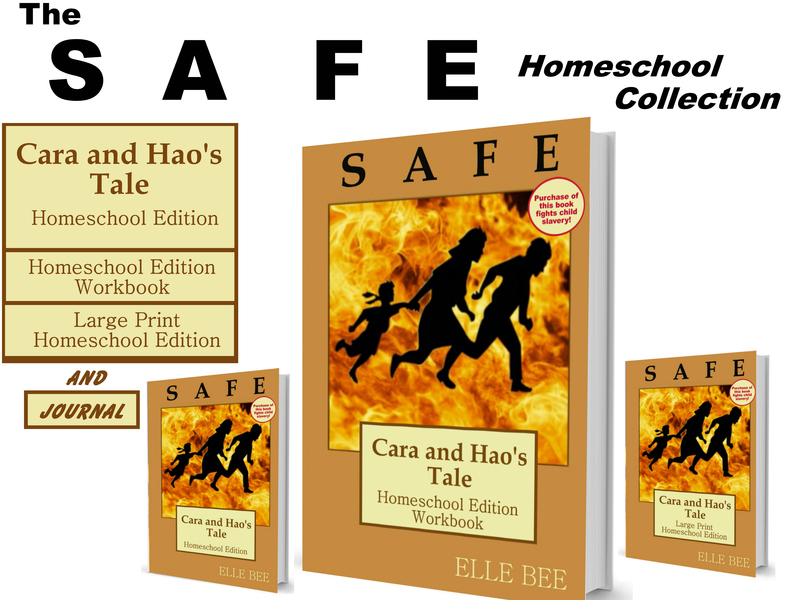 A coupon for either the Kindle edition of Cara and Hao’s Tale or the next book in the Safe series. 9. Your choice of Large Print, regular, or both. 10. The option for multiple journals, for multi-children households. To be added to the waiting list and notified when this collection is released, fill out the form below.